Being on Twitter helps you to come across restaurants that you might have otherwise missed. 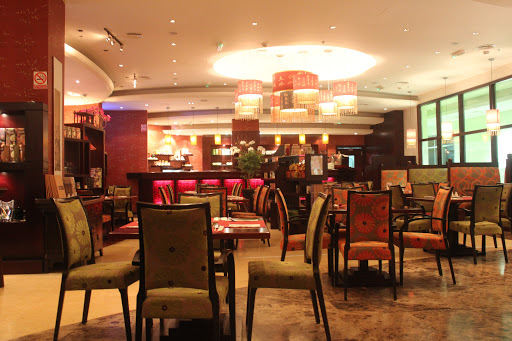 I have been to Dubai Healthcare City a number of times but have never come across Sino Chai. Was it my negligence to check out my surroundings or was it something else? Whatever it may be, thanks to Twitter, I came to know the whereabouts of Sino Chai. 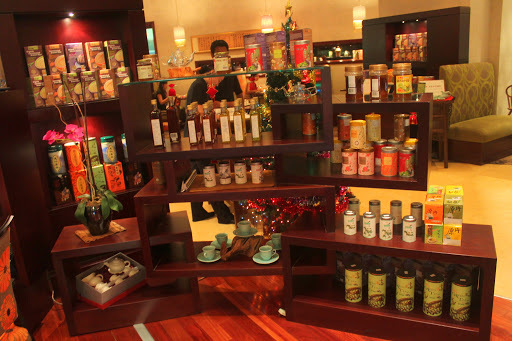 Sino Chai is a Taiwanese Restaurant but what differentiates it from other restaurants is that, it is also a Tea Boutique, Natural & Organic Minimart and a tea accessory store. Once you walk in the restaurant, you will be able to see two totally distinct areas. 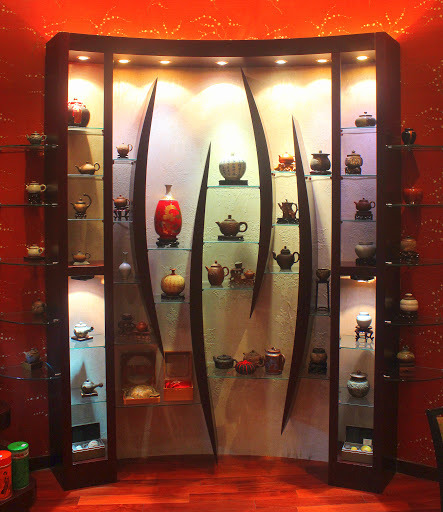 One, being the restaurant bit of it where you can eat and savor the delicious food and the second being the area surrounded by Tea tins, boxes and tea sets. As I settled down at the table, I was welcomed with two menus. I was expecting one thick food menu and a smaller one for drinks. However, I was in for a bit of surprise here. The drinks menu was rather a ‘Tea menu’ and it was not a small one by any means. With these many options, one is bound to be confused, so was I. At the end, I decided to take some help from the restaurant staff. My order for the tea was a Cold version of the Oriental Tea. Since I was dining in alone and didn’t have enough space in my tummy, I decided to skip starters and settled with a single main course. The main course was an easy pick for me. I chose to have fried noodles with seafood and mixed vegetables. 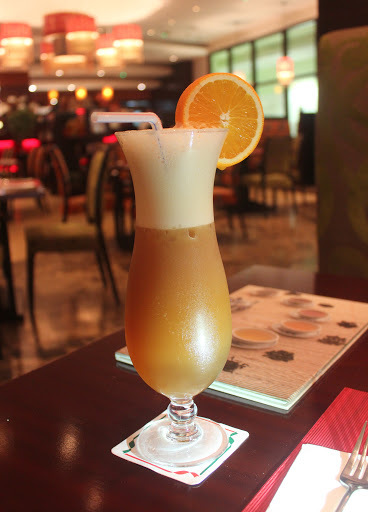 Before the main course came in, the Oriental tea was sitting pretty on my table. 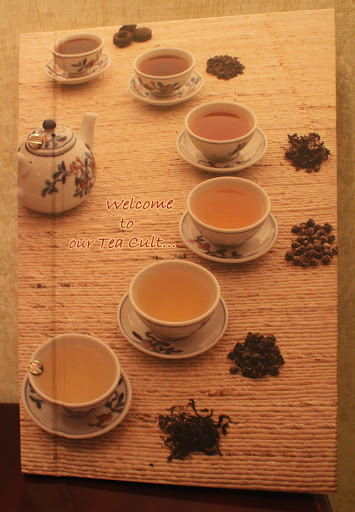 Not being a tea lover, judging the taste was a bit of a task for me. The tea tasted different, it was in terms of flavour. The more sips I took, the more the tea grew into me. Bottom line, I liked it. It was only a few more minutes of wait before the main course arrived. The dish looked delicious and tasted delicious. The mixed vegetables were fresh, the noodles were handmade and soft, the seafood was cooked to perfection. 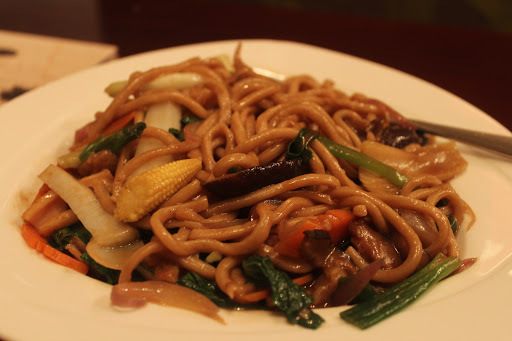 All in all, the fried noodle with sea food and mixed vegetables was too good. After the good experience, I was given a comment card to fill in, which I did fill without any hesitation. Once I had settled the bill, I took a small tour of the restaurant taking some photos. I fell in love with the setting of the tea area. My reaction was “Wow, what a collection”. 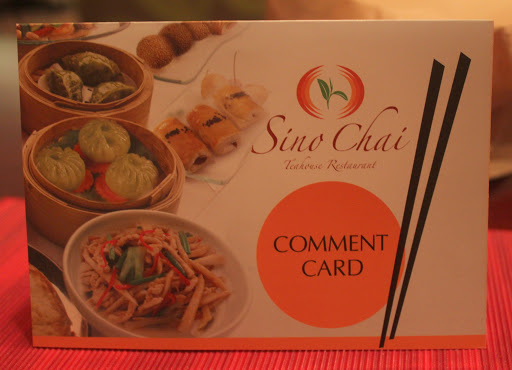 Based on what I ate, I would suggest Sino chai to anyone who likes noodles, tea or seafood. It is a must visit for all food lovers. Hi Devina,I had no idea about that. Thanks for sharing the info. Since you are an amazing food blogger and a big foodie, there is no way I will miss the chance of trying something you recommend :D.Shall try it soon !! Hey! 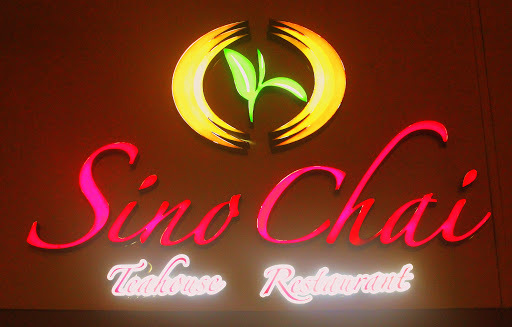 I've been to Sino Chai multiple times now and I really love it. The first time I went was for their all-you-can-eat dimsum meal, and then I went for a blogger lunch with the owner. She's very much into healthy eating, and tries to translate that into the food.I highly recommend the dimsum all-you-can-eat… it's AED 75 for lunch and AED 85 for dinner. Think it's just on weekends though. Worth it.